The Yamaha YCR-9435 Custom Series C Cornet was created to address the need for cornets in certain orchestral literature. The YCR-9435 features medium weight body with a .459-inch bore plus the same MC1 leadpipe taper as the Chicago series Artist Model trumpets for a strong, brilliant and complex sound. 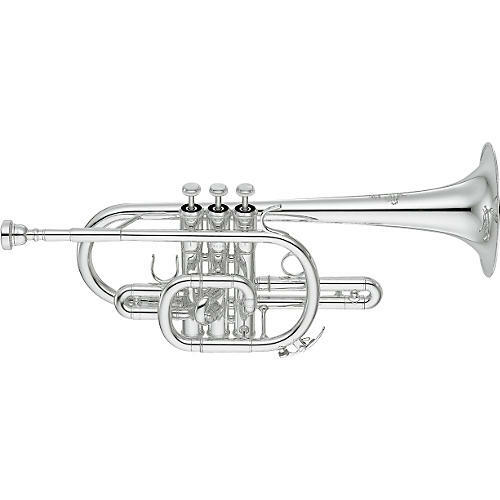 The Yamaha YCR-9435 Custom Series C Cornet includes a case and mouthpiece and is available in silver (YCR-9435) finish.